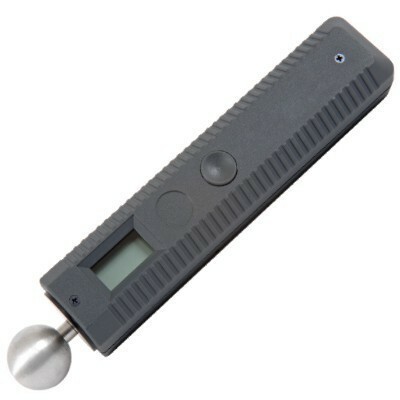 Elcometer 7400 Compact “ B” is an electronic moisture indicator using a patented technique based on the dielectric constant/high frequency method. It has a LCD display with universally applicable ball sensor for non-destructive location of moisture in all kinds of building materials and is also suitable for assessment of moisture distribution in walls, floors and ceilings. We introduce ourselves as one of the leading Supplier and upcoming Exporter in the field of Testing Instruments and Equipments and Systems with Head Office in MUMBAI having Direct Contact with Customers throughout India and outside India with excellent service supports. We cater to a wide Range of instruments and equipments for every Laboratory. We believe in the Philosophy of PROVIDING TOTAL LABORATORY SOLUTIONS by providing "WHATEVER A LABORATORY CAN NEED." Paint, Printing ink, Powder Coating, Pigment, & Varnish testing instruments. Oil, Petroleum, Grease, Bitumen testing instrument. Physics & Chemistry lab wares, Silica-wares, porcelain, platinum-wares. Electronic measuring instruments and other products used for research and development. We are Distributors / Dealers of various indian & International brands. Providing a one stop solutions based on the budget and need of the client. Customer Satisfaction is our prime moto.